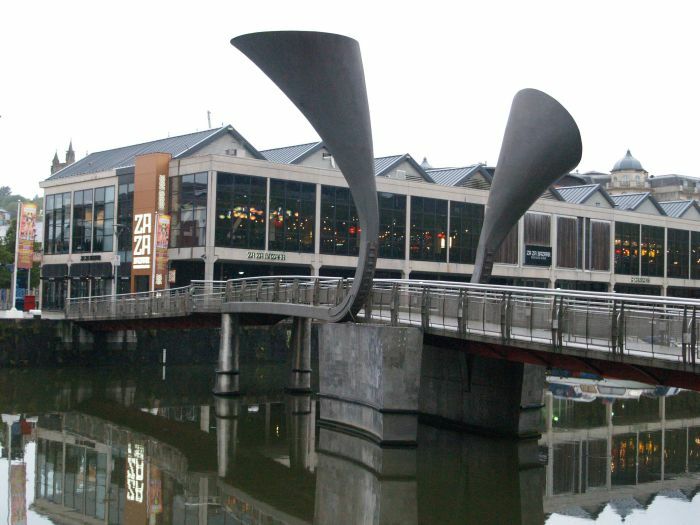 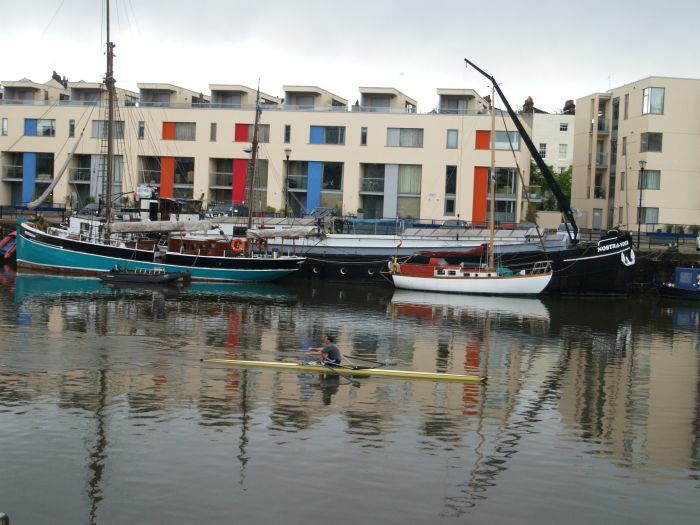 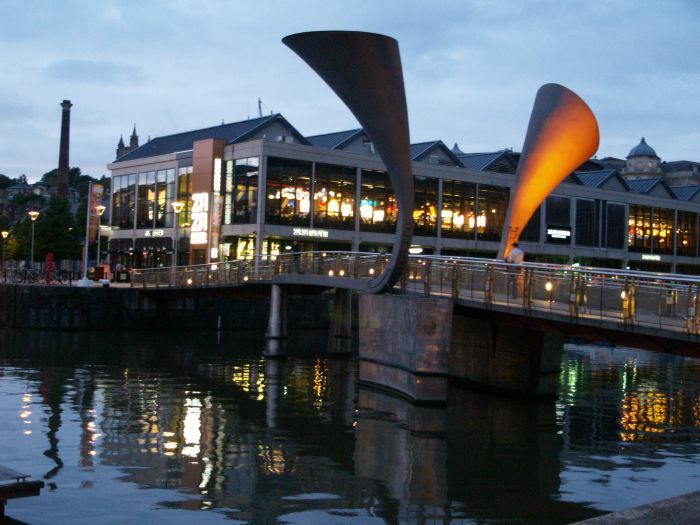 Bristol's floating harbour: Part of the City Centre on a peaceful evening until the bars on the right fill up! 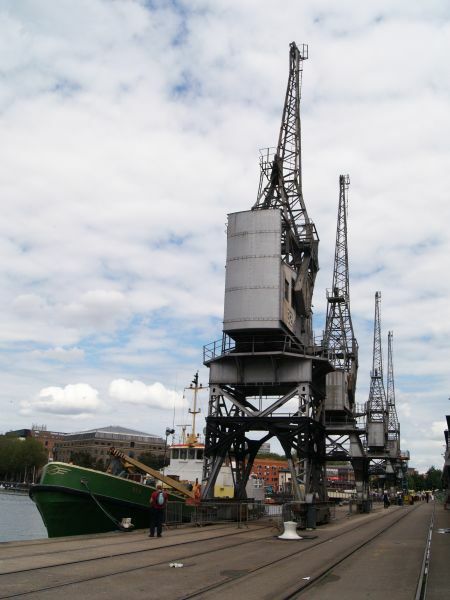 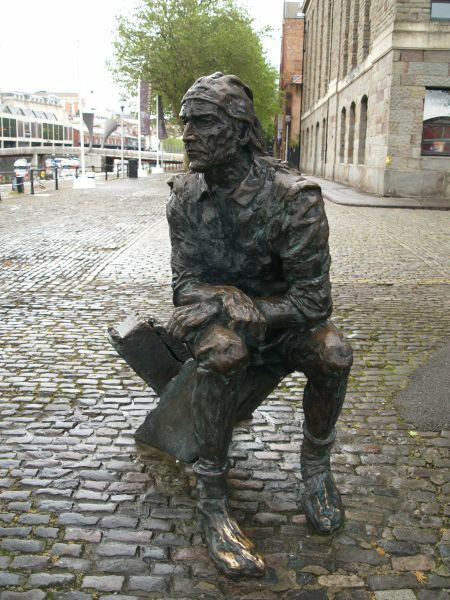 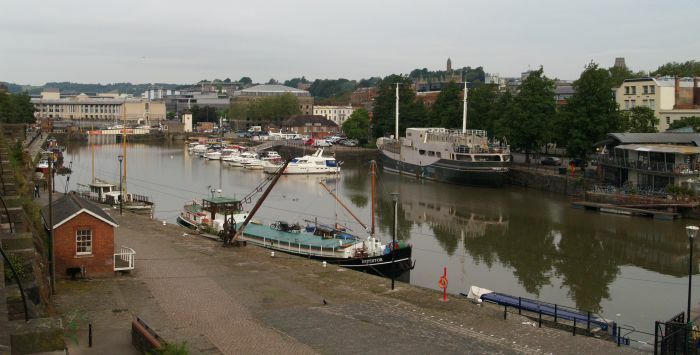 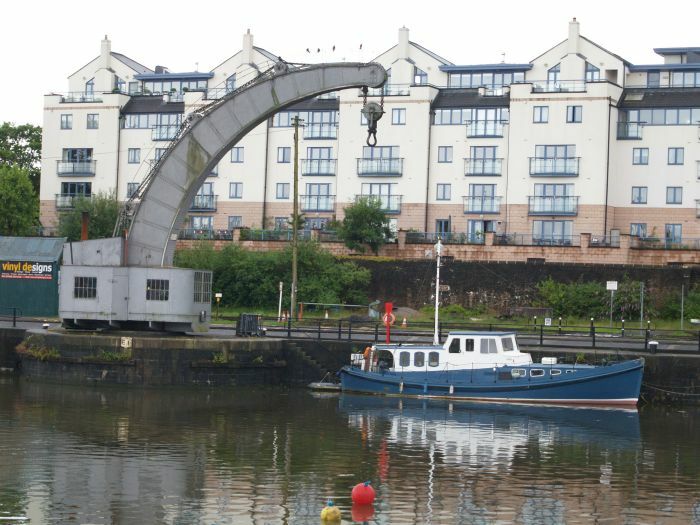 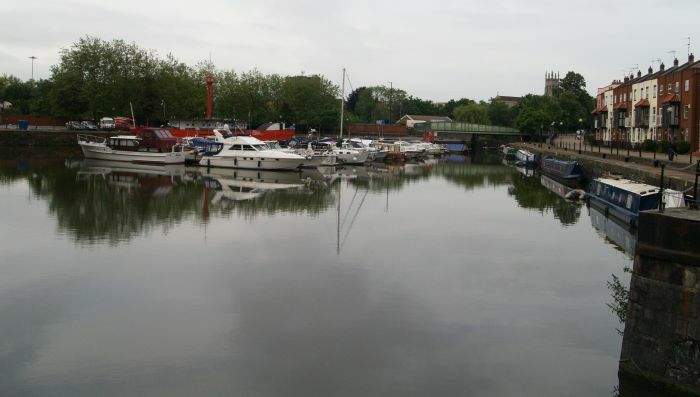 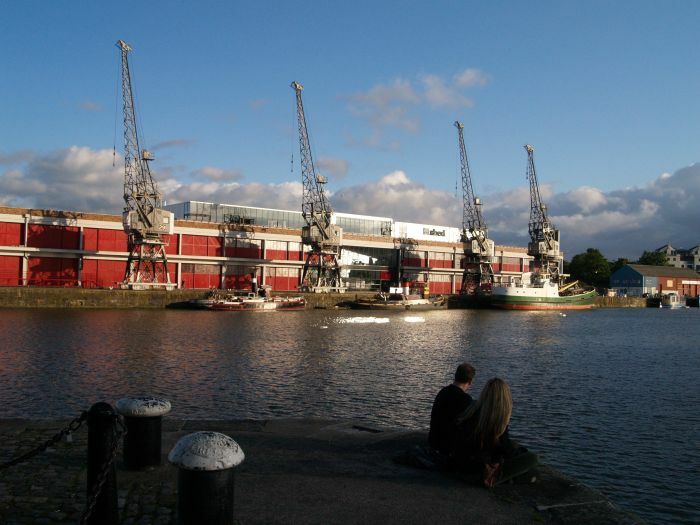 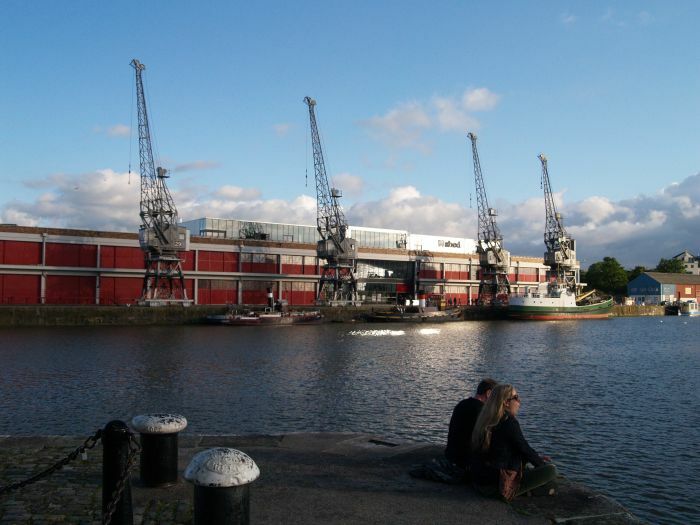 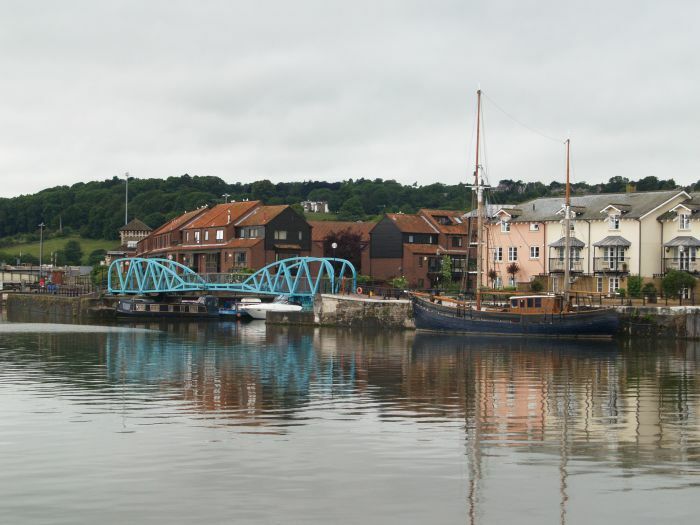 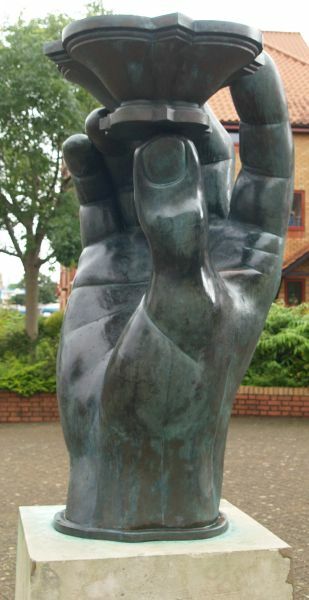 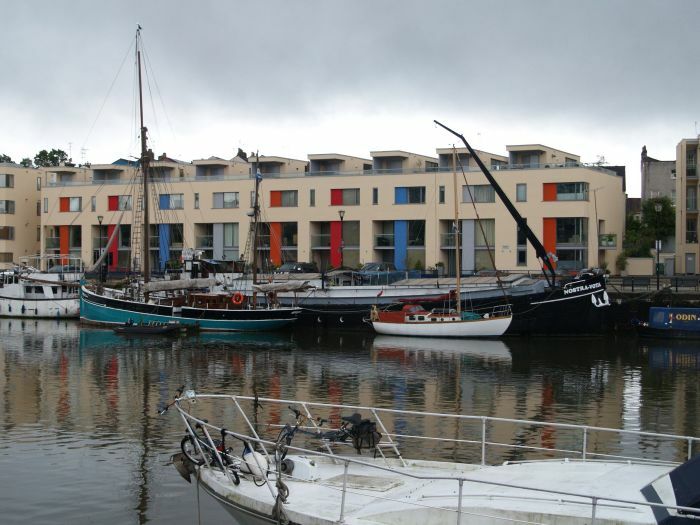 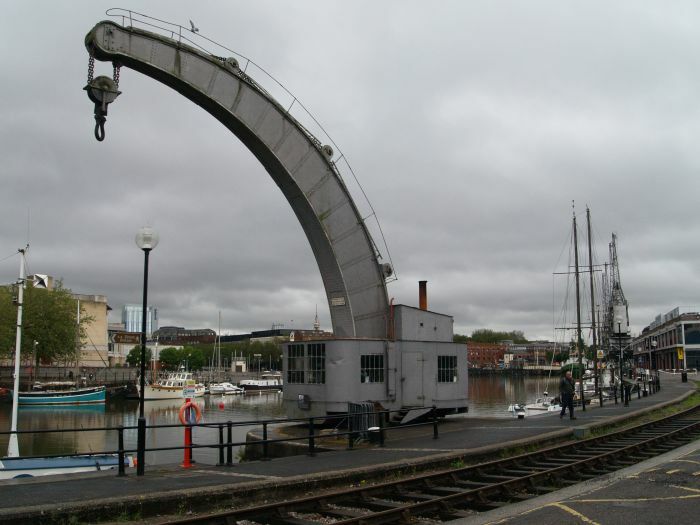 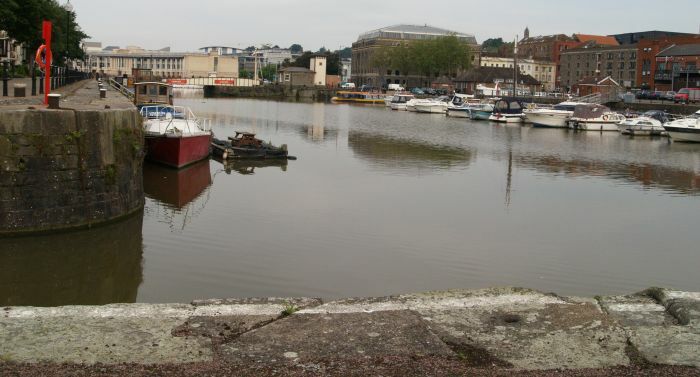 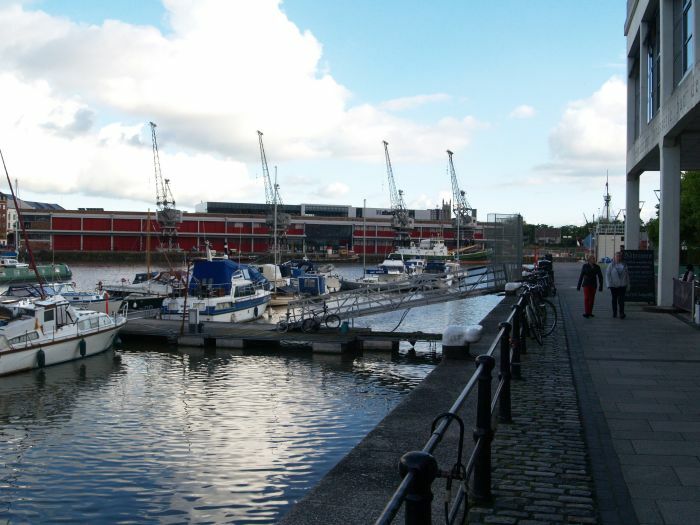 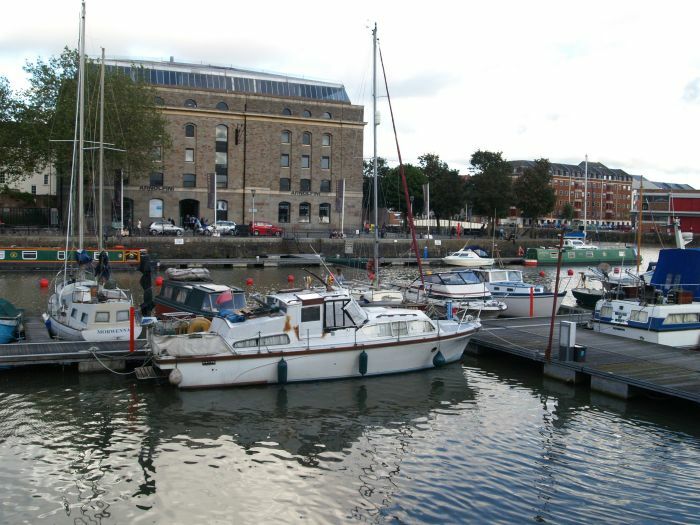 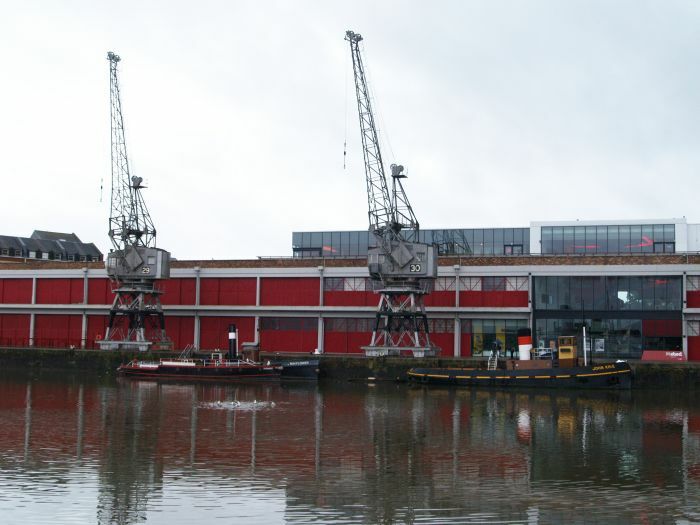 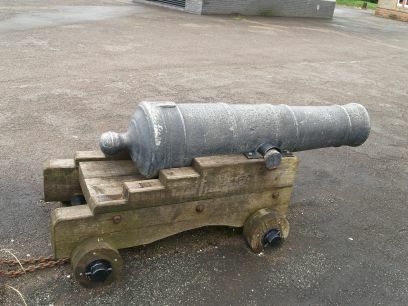 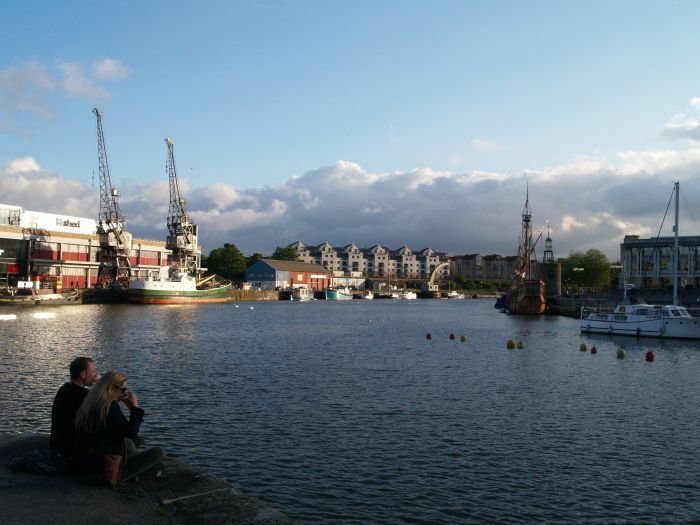 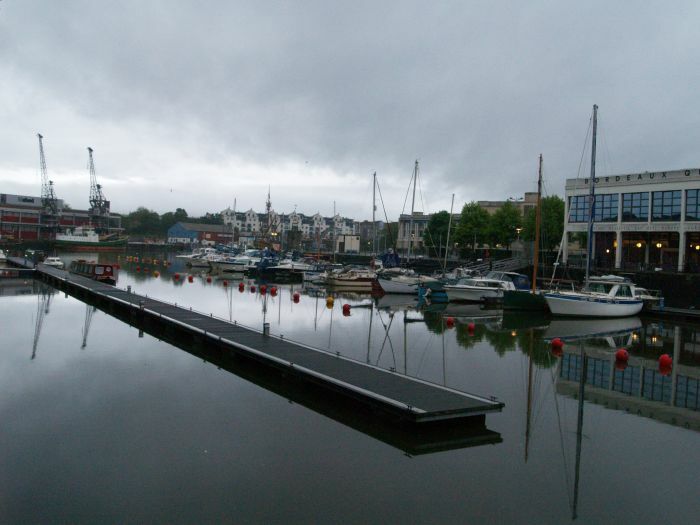 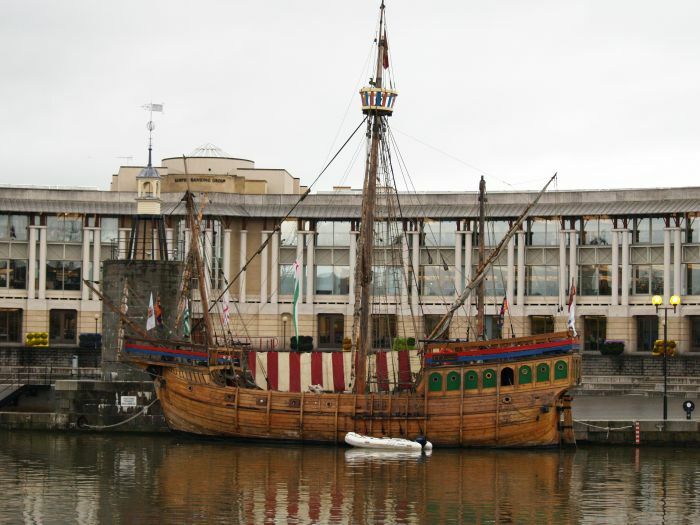 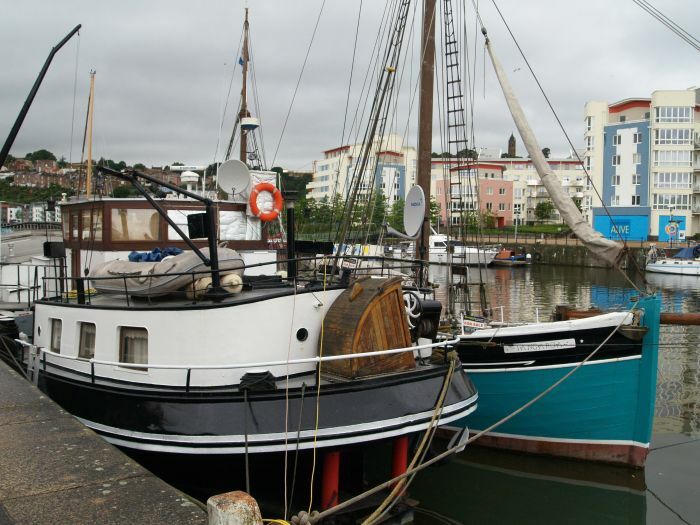 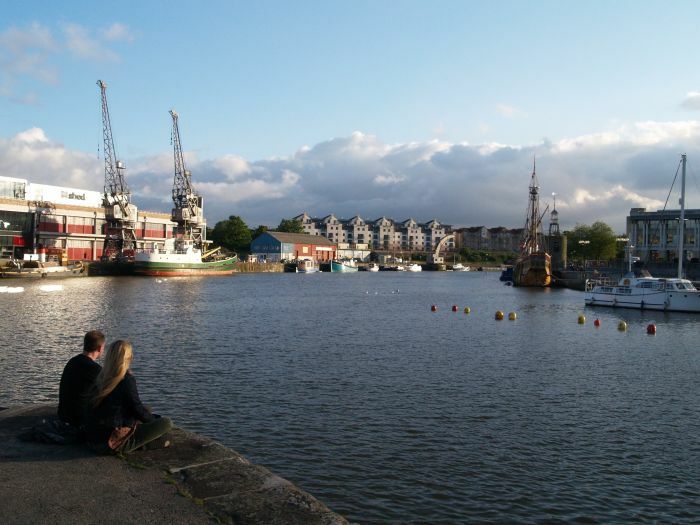 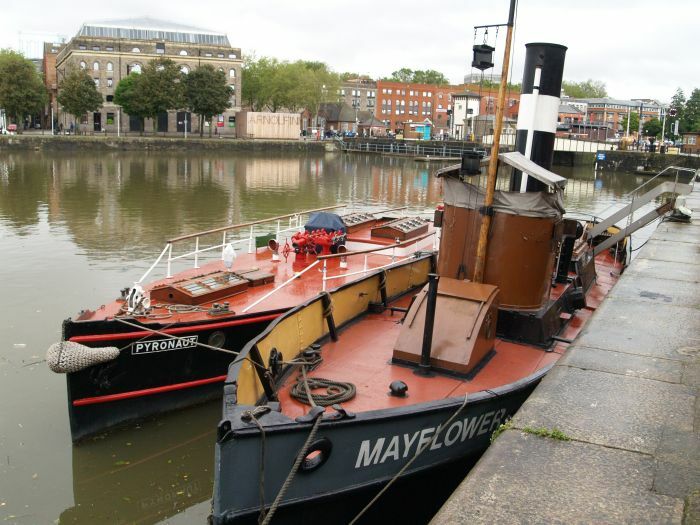 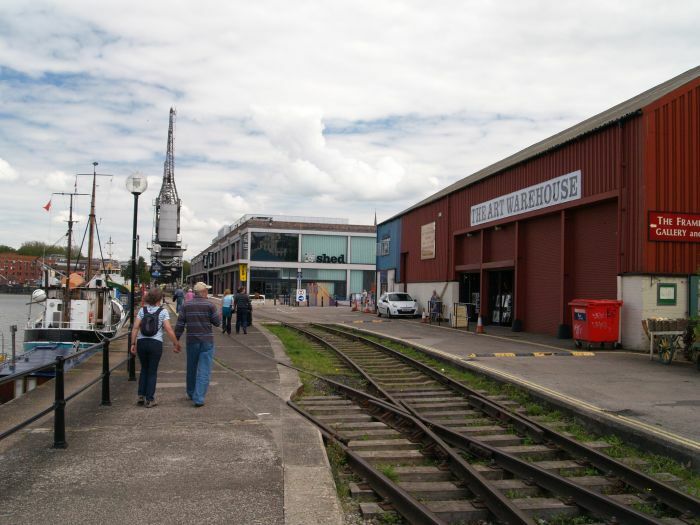 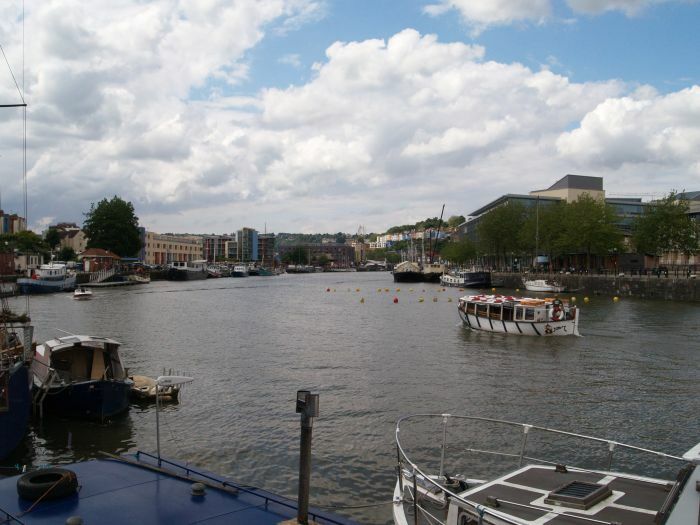 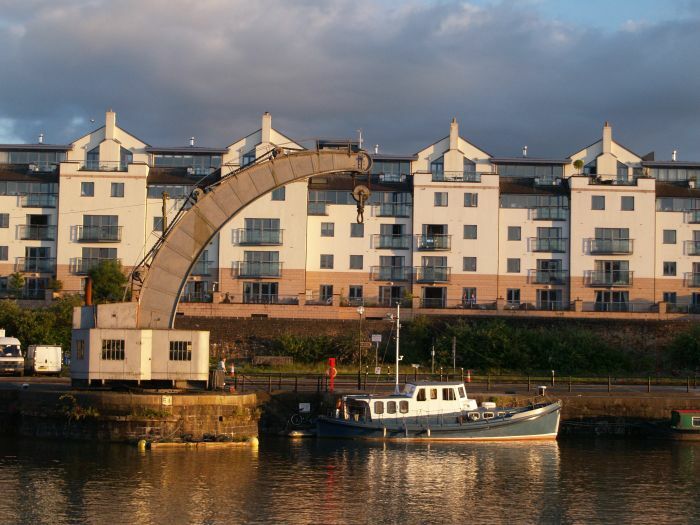 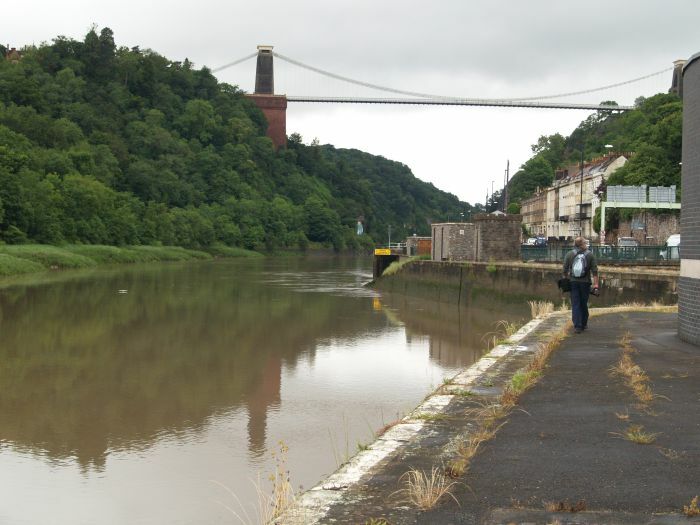 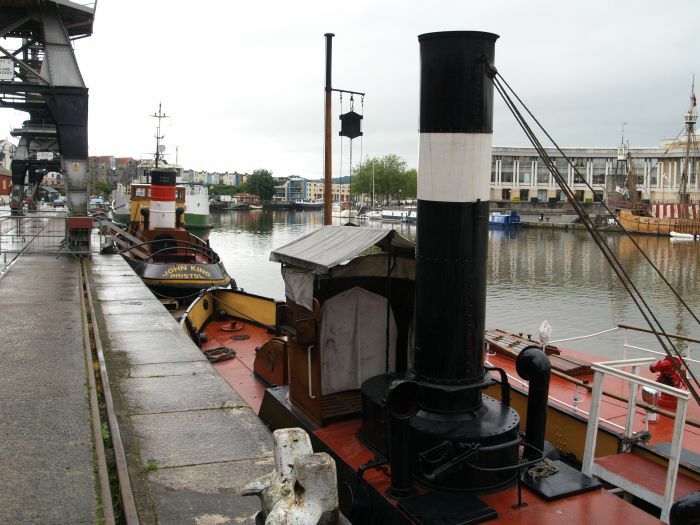 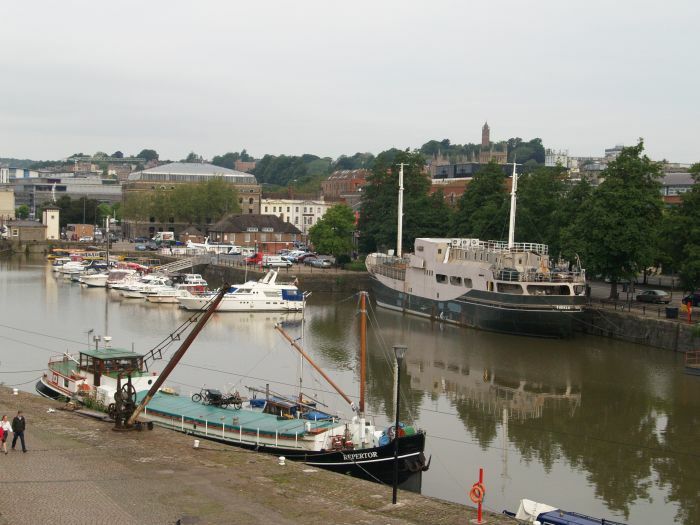 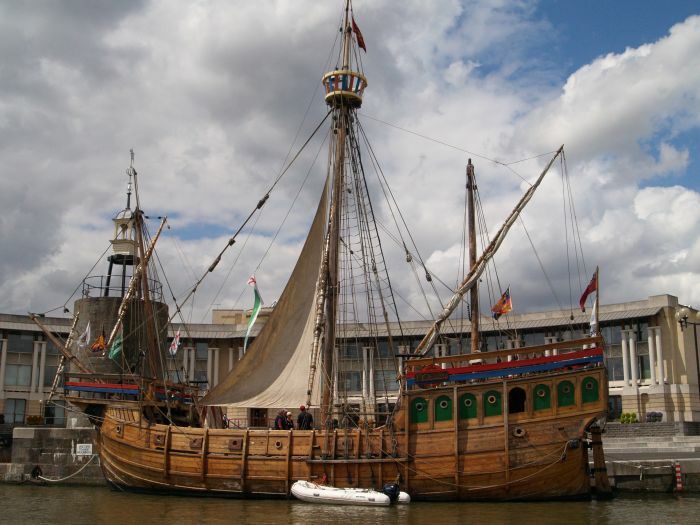 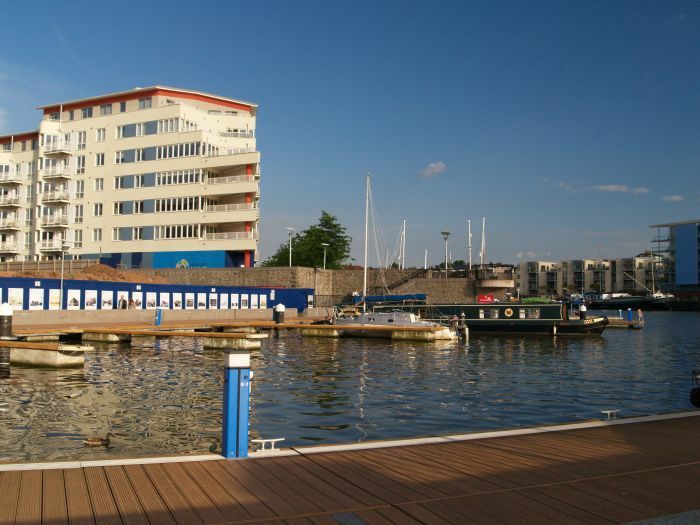 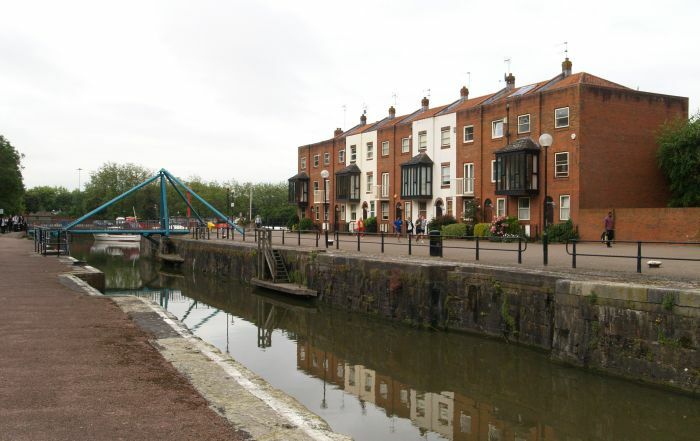 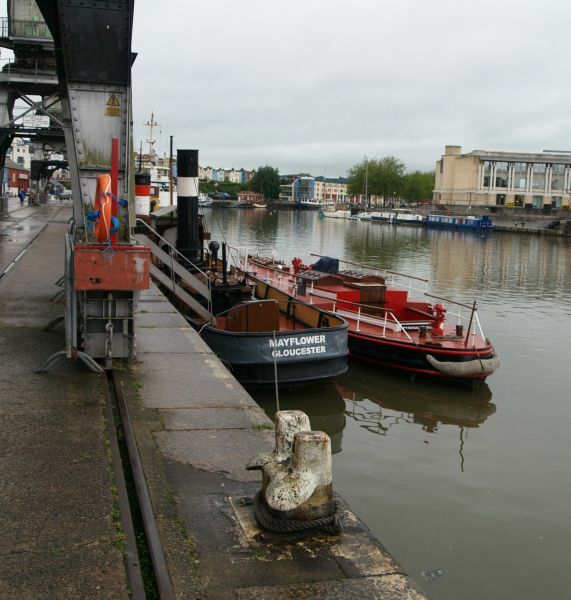 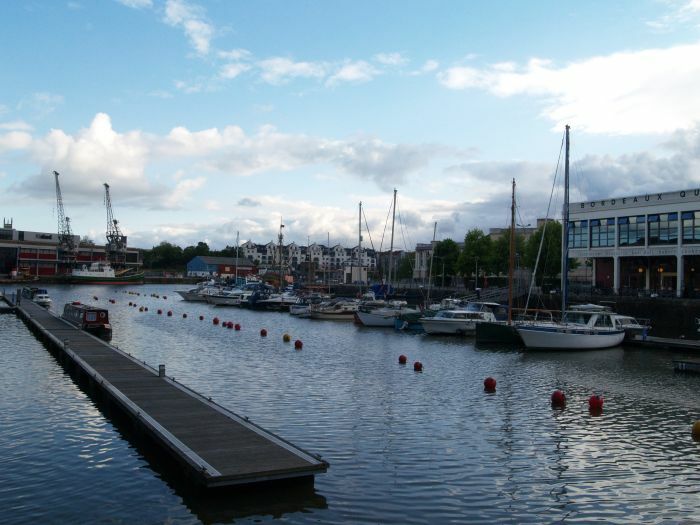 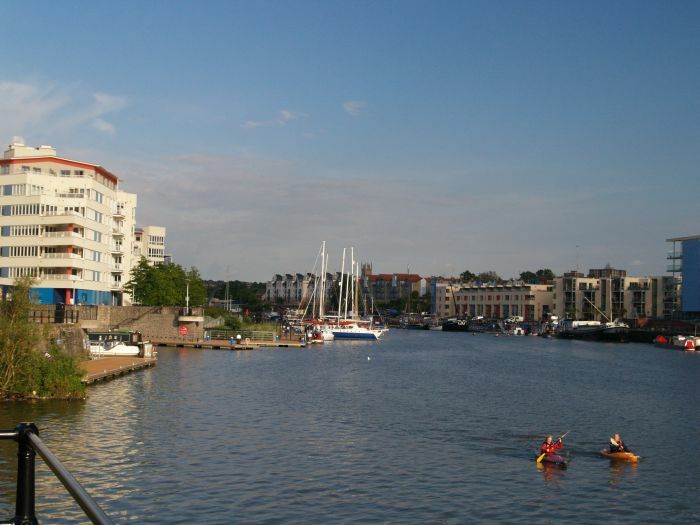 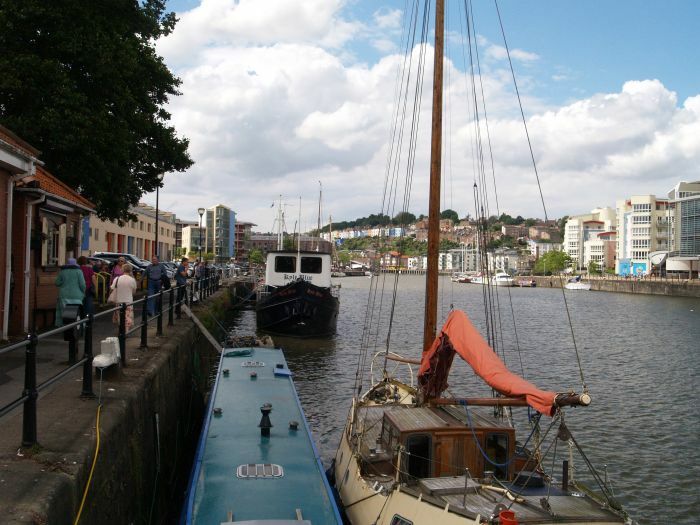 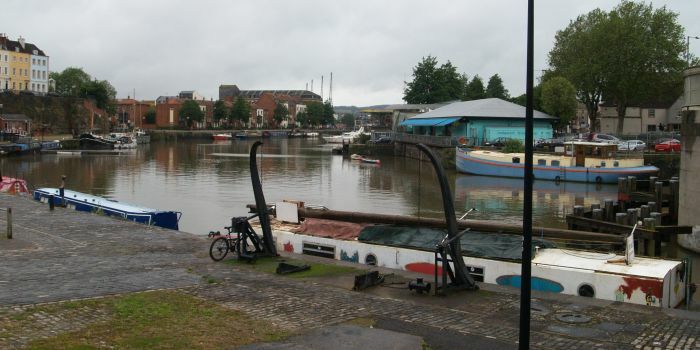 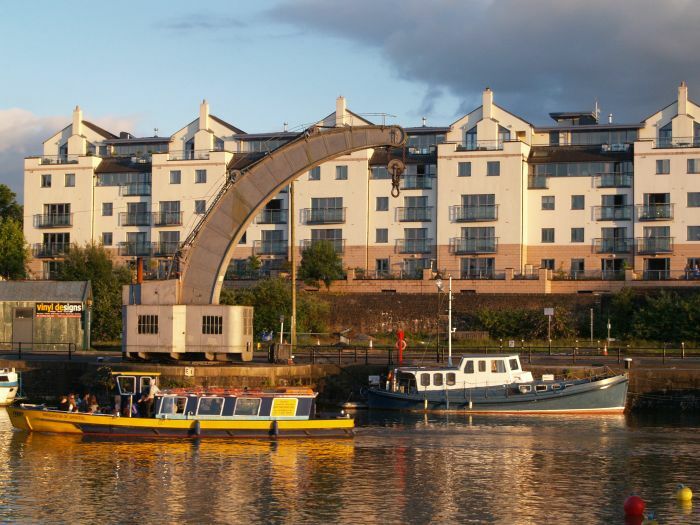 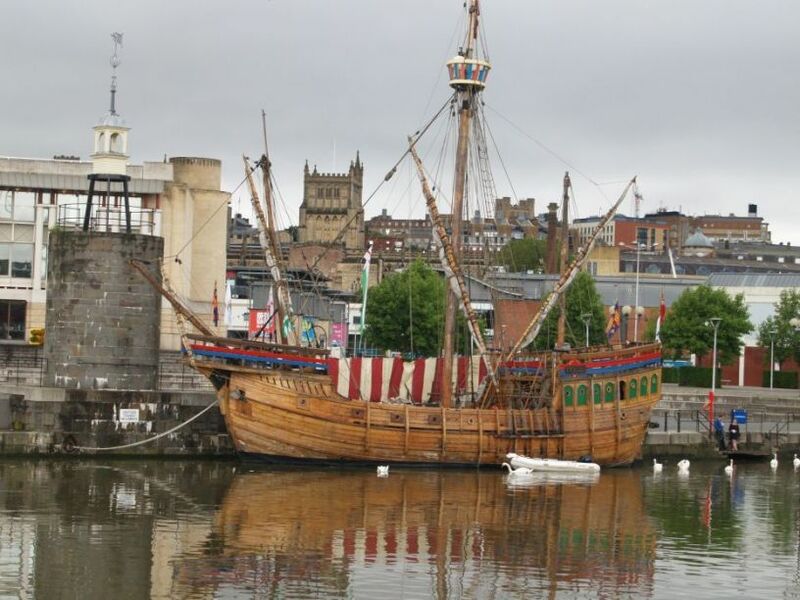 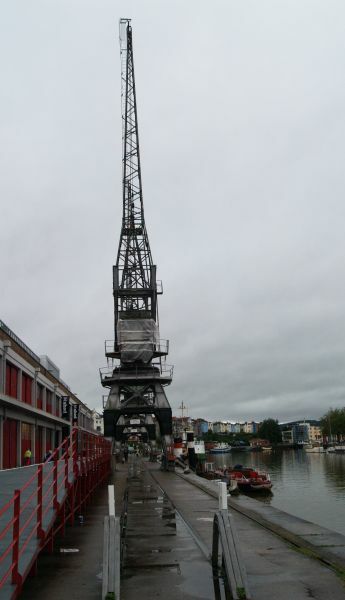 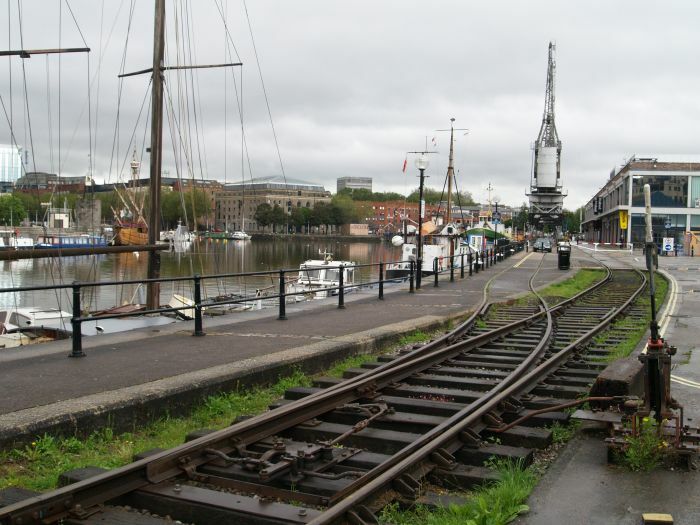 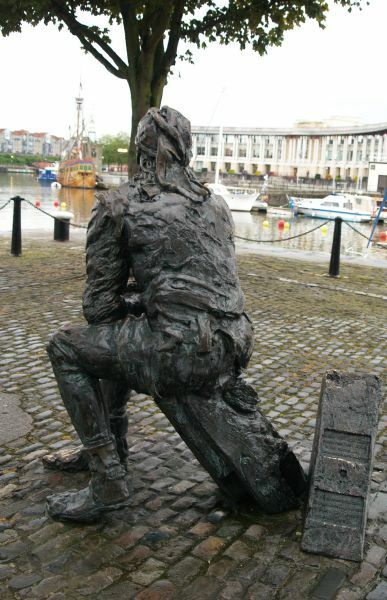 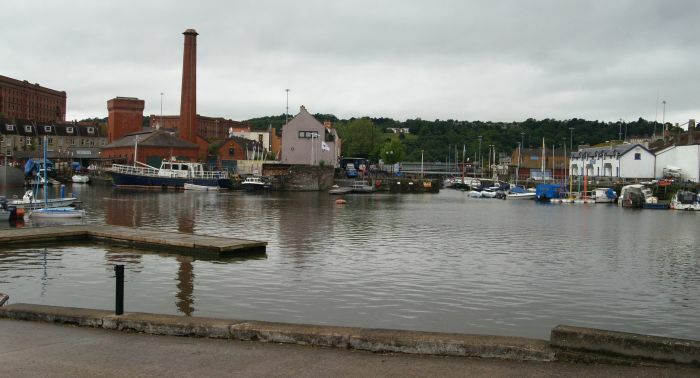 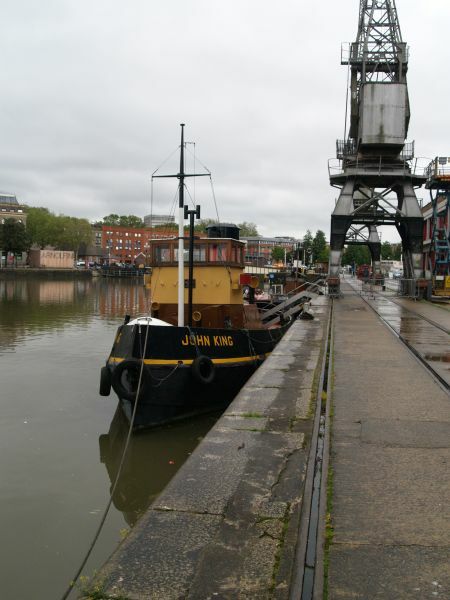 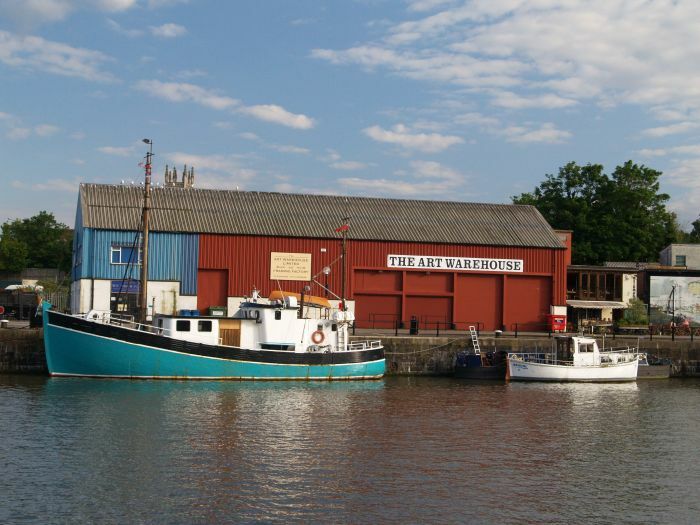 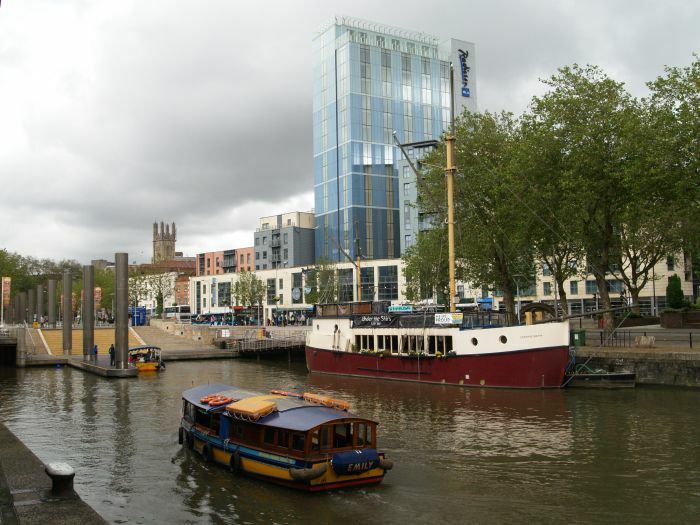 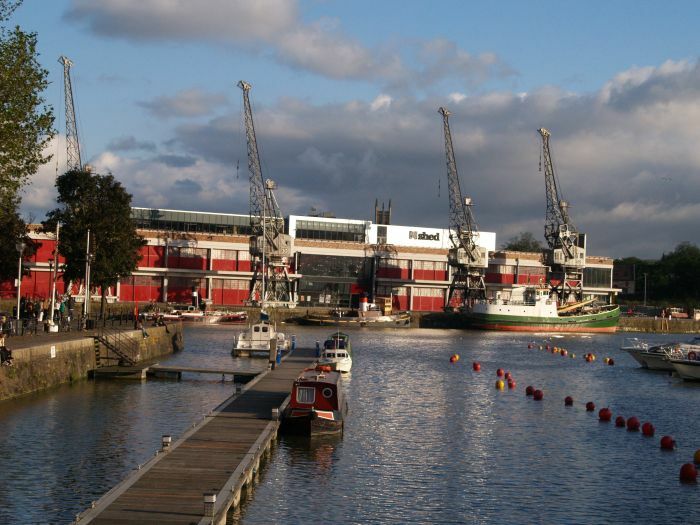 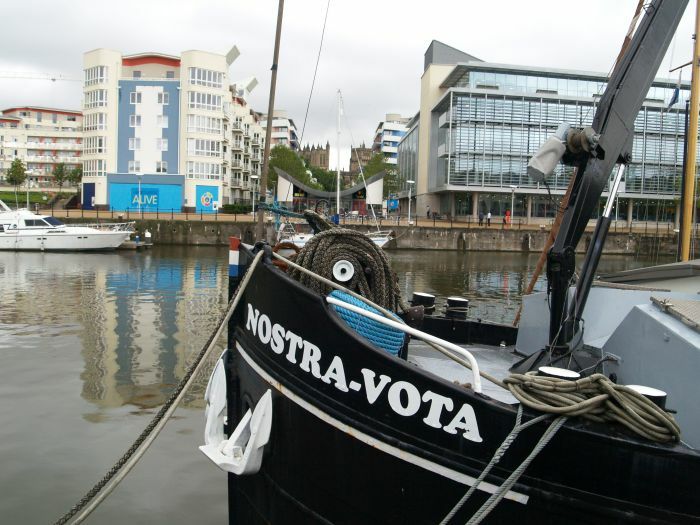 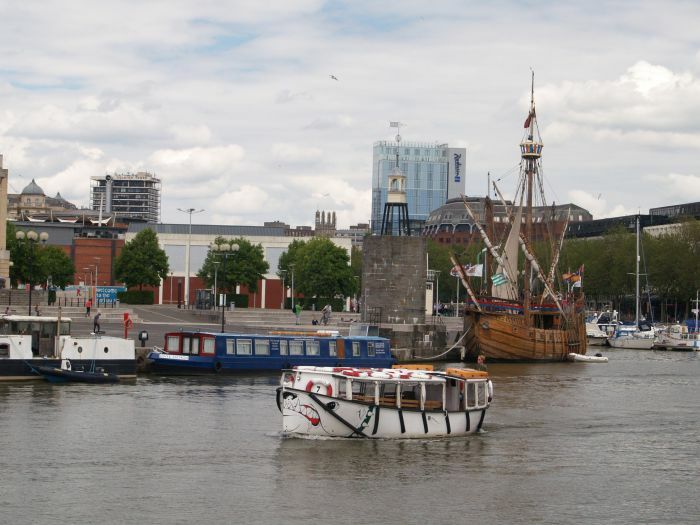 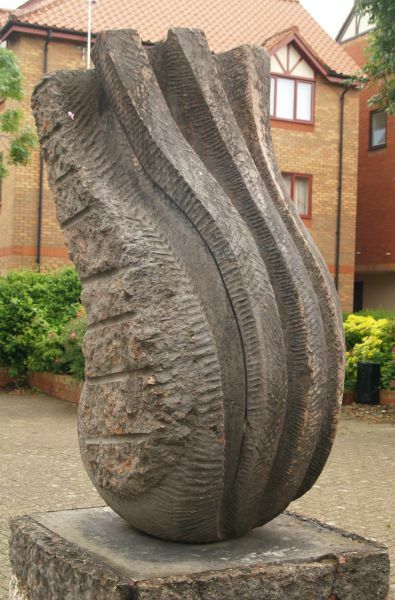 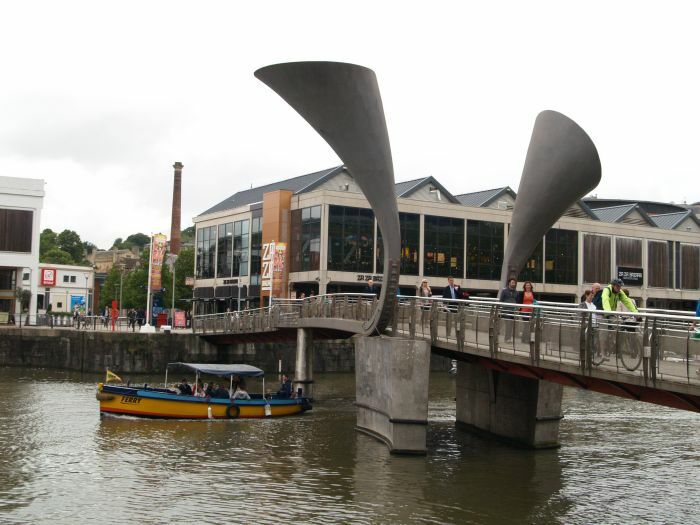 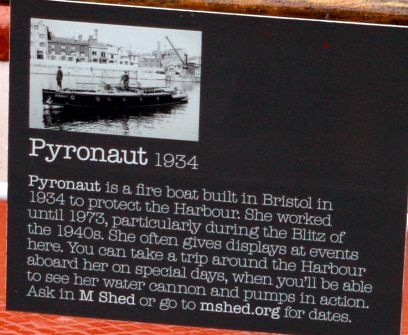 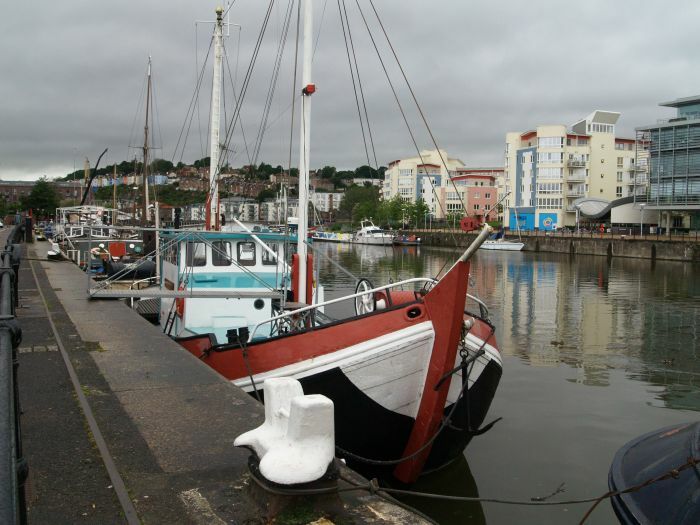 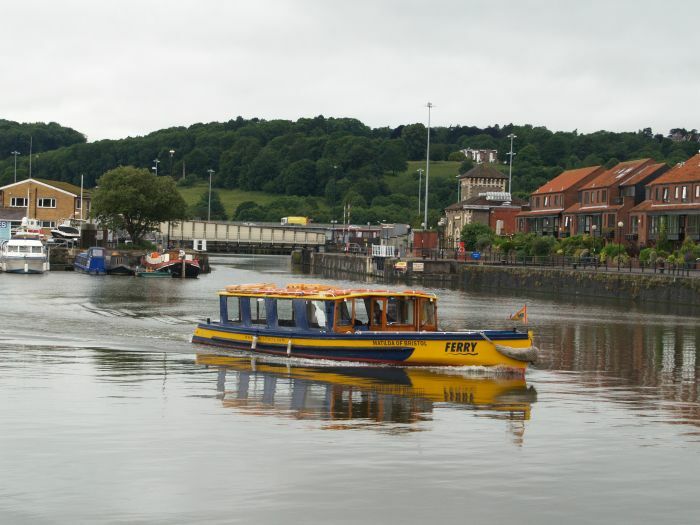 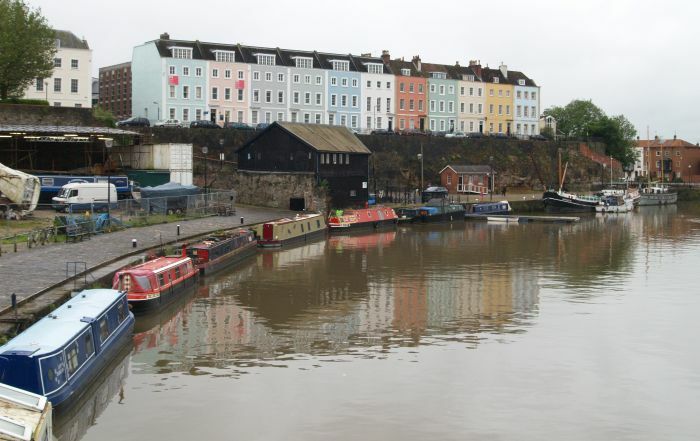 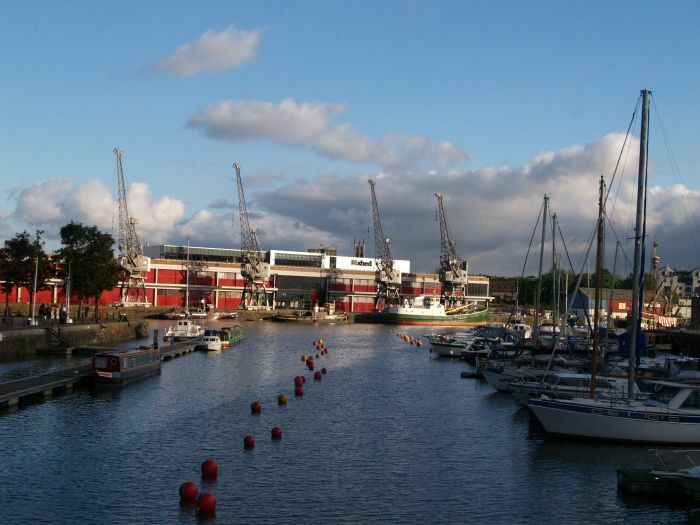 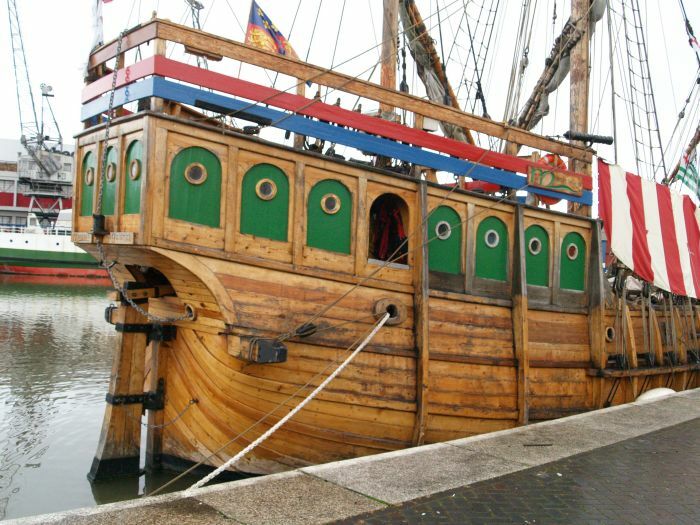 Bristol's floating harbour: the chimney of ? 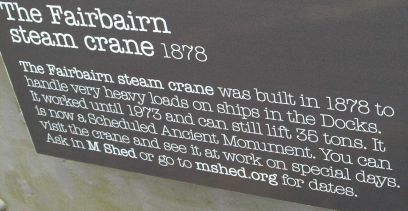 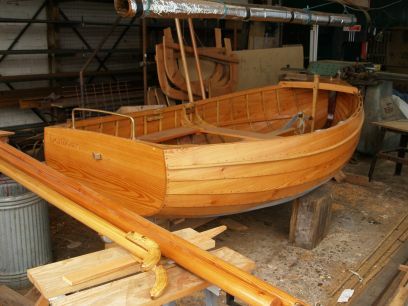 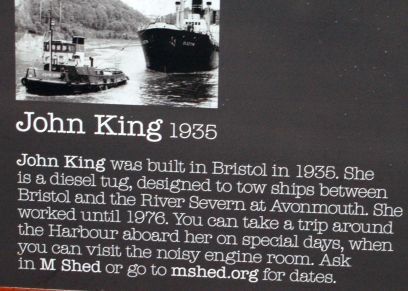 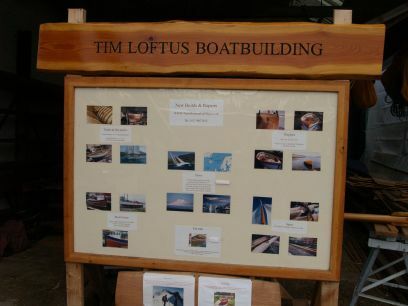 boatyards of ? 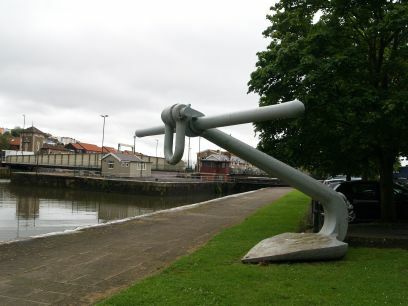 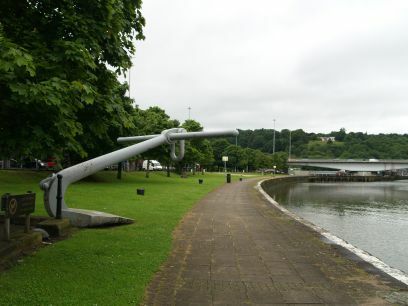 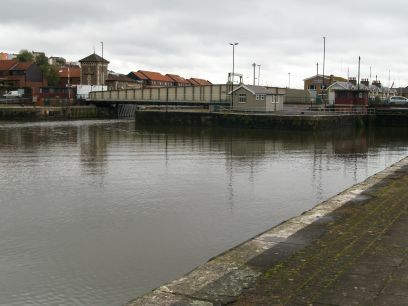 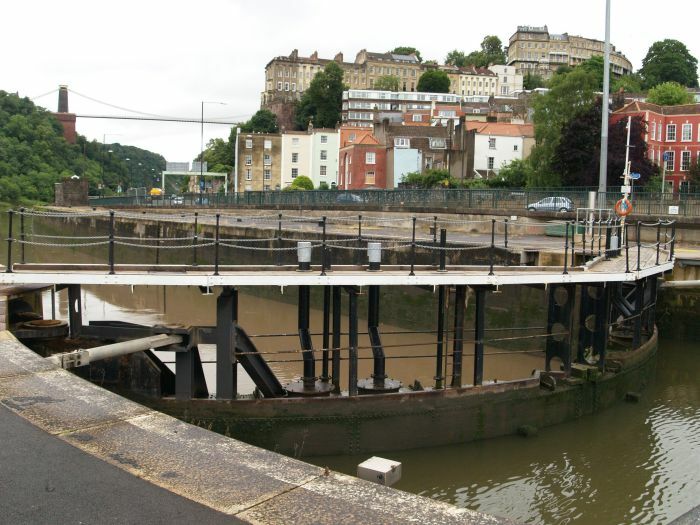 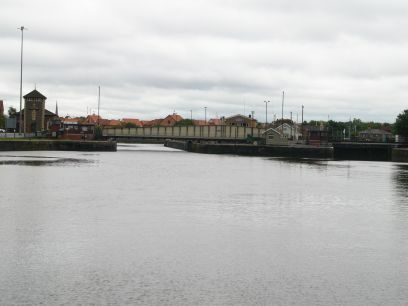 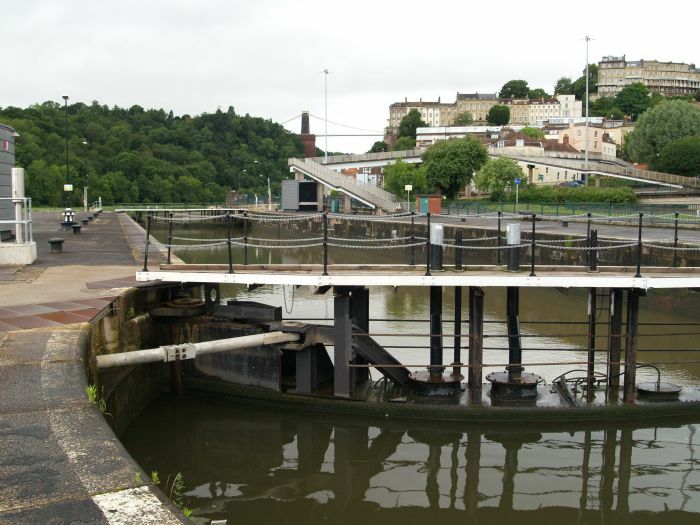 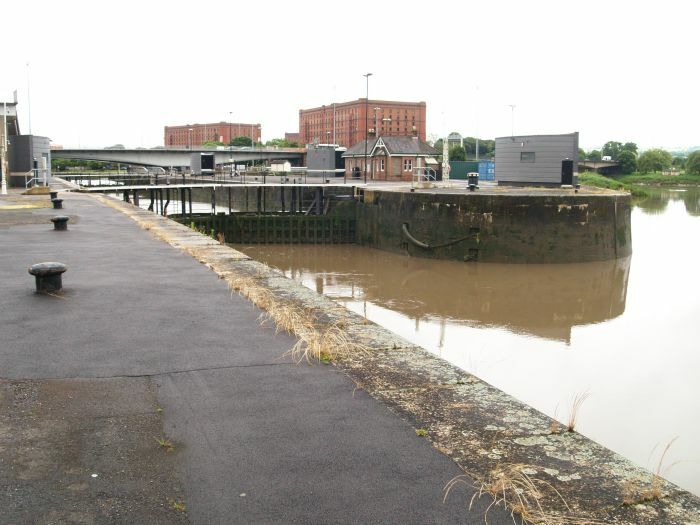 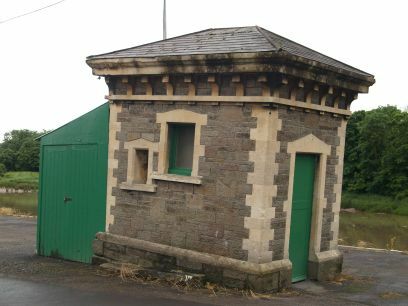 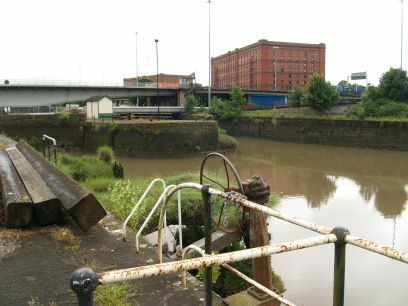 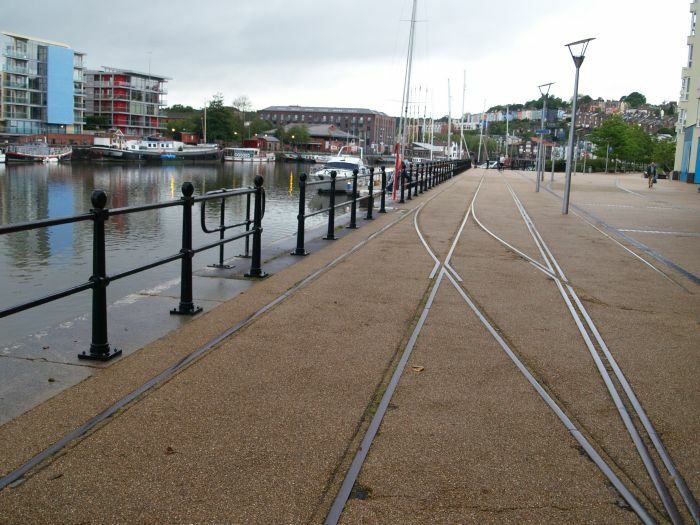 Bristol's floating harbour: The lock system controlling the western end of the floating harbour, just before it joins the 'New Cut'.